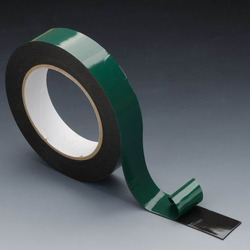 Backed with a team of workers and adroit professionals, we are involved in providing Double Sided Foam Tape. We are leading manufacturers of Adhesive Foam Tape. These Foam Tapes are also laminated with release papers. IXPE/EVA/NBR Foam coated with water based acrylic or solvent based adhesive on both the sides of foam supplied with a yellow or white paper liner. Double sided foam tape with hot melt adhesive is for general double side application and stationery use. We hold expertise in presenting Double Sided Foam Tape to the customers, which is widely used in commercial industry. 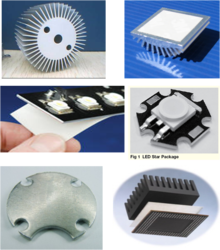 The offered range is highly in demand, owing to its long lasting nature and high adhesiveness. We offer these products to the patrons at friendly pocket prices. Double Sided Foam Tape is made out of foam of PE, PU, PVC and EVA coated with various types of adhesive for various applications. It is used in refrigeration, stationery, die-cut, impact preventing material or adheres with advertising sign board and plates and various other applications. This tape is available in different thicknesses. We are the leading organization in the industry to provide our clients the best quality array of Double Sided Foam Tape. We have emerged as one of the leading manufacturers and suppliers of a wide collection of Double Sided Tissue Tapes that are coated on both sides with water based or solvent based acrylic adhesive or hot melt adhesive and laminated with release paper. We provide our clients Double Sided Foam Adhesive Tapes that are manufactured using Pe, Eve or Pu foam and other foamed material for backing the tapes.